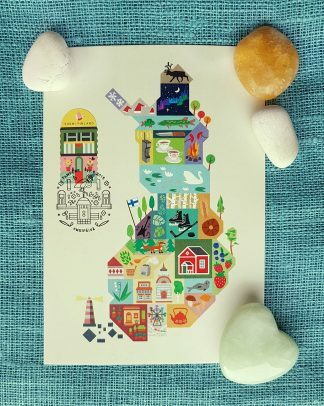 The map in this postcard was drawn by my daughter Ronja, and it has a collection of Finnish elements on it. For example Finns are famous for coffee drinking, eating rye bread and having a sauna in every house. 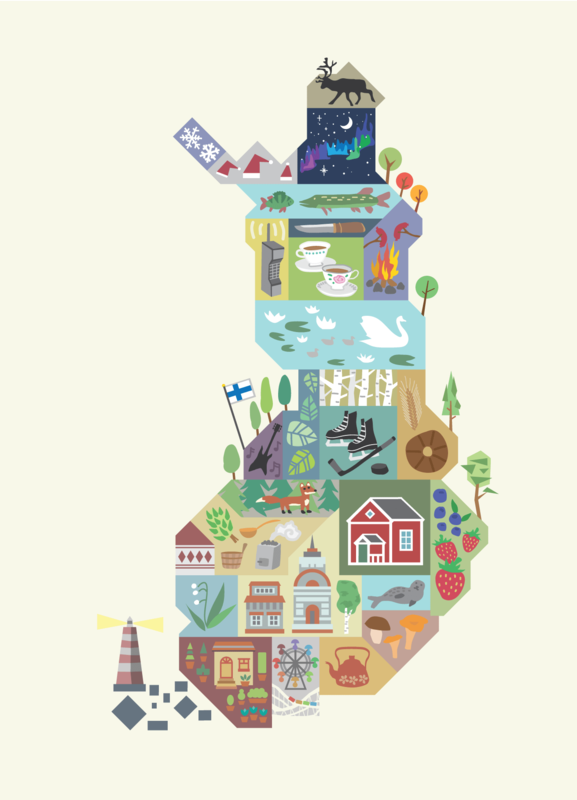 In Finland you have freedom to roam in nature and here is plenty of nature to roam! If you are lucky you can see Northern lights in the autumn or winter time. The rest 300 individuals of the most endangered seals in the world, Saimaa Ringed seals live in Finland in lake Saimaa… and the only real Santa Claus is from Finland of course! 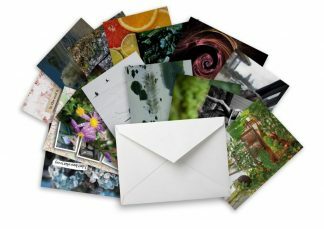 Large fortune envelope Maximum card Native land - Maksimikortti Oma maa Eläinten kaupunki "Talo"